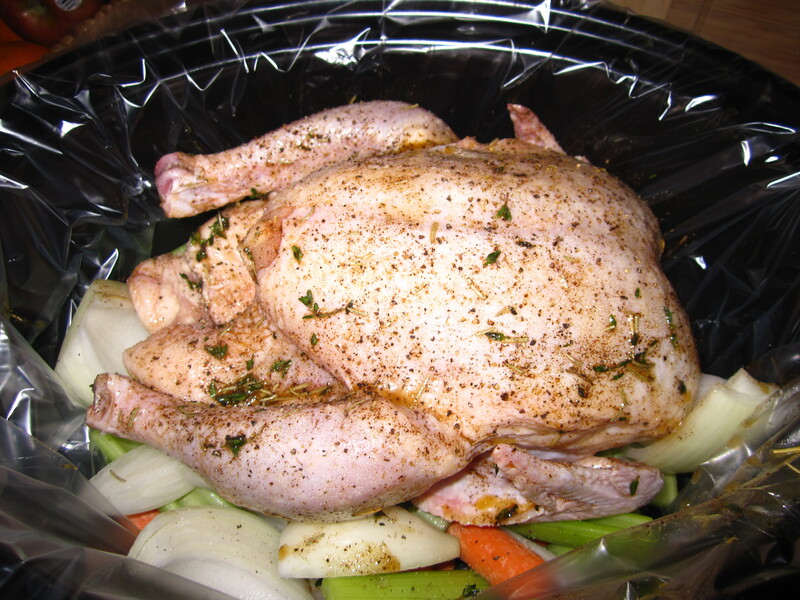 You want to have a nice, simple roasted chicken for dinner, but you have plans and don’t have time to roast it. 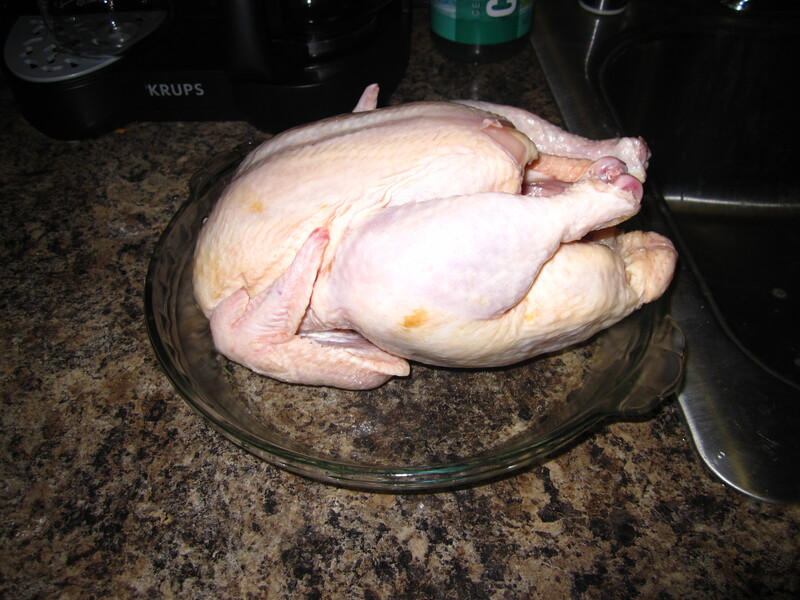 The chicken is in the refrigerator, waiting patiently to be roasted to a nice, crispy delight. 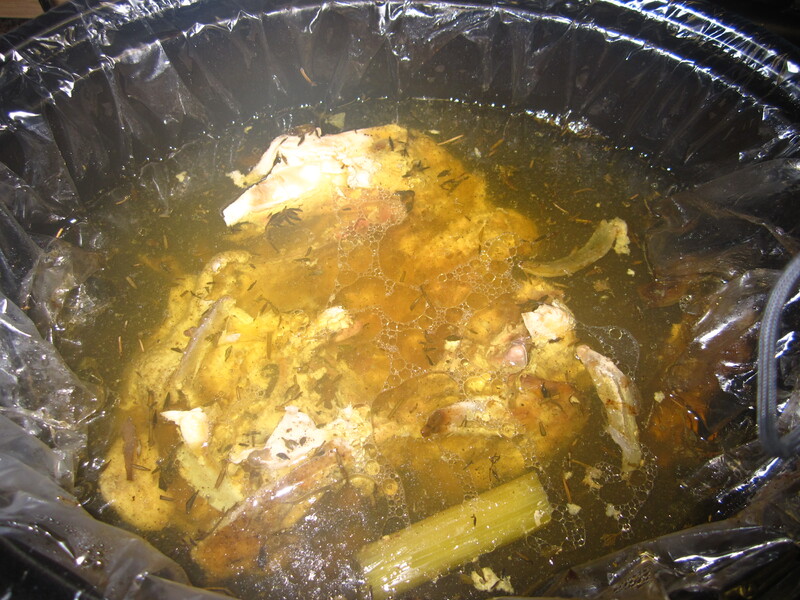 So you decide to put it in the crock pot. And I am here to tell you I tried it, and it doesn’t work. Much like everything else in the crock pot, it just isn’t the same. Biff and I wanted to go geocaching (more on that on a later post) and I had planned on roasting a chicken for dinner, which sounded so gooooooood! So I thought, well, I’ll just pop it in the crock pot, and it might turn out? I knew it was going to be steamed rather than roasted, but I didn’t expect ….. this. 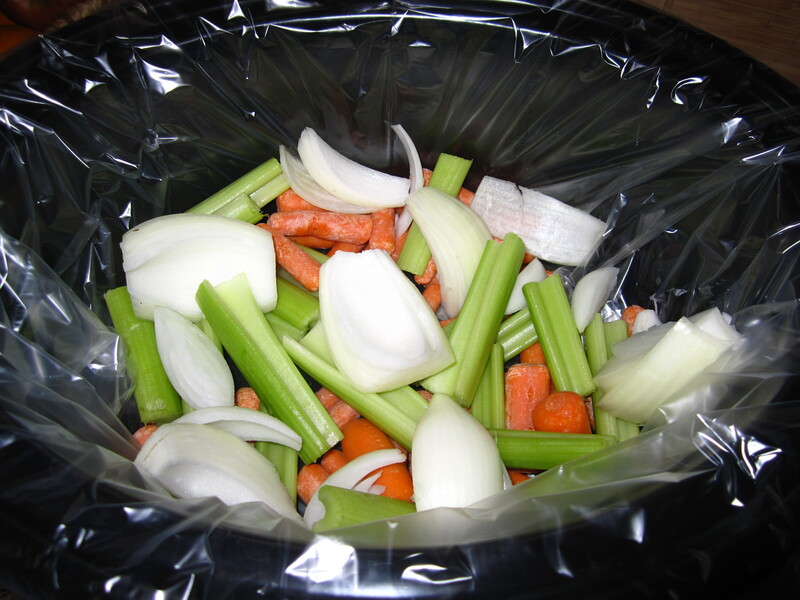 I read a few articles on the web and all of them said the same thing: Don’t let it sit on the bottom of the crock pot, or it will be a stew rather than a roast. One person suggested putting foil on the bottom, but I decided to go with veggies instead. Note the liner. A must have. Looks good, right? Then I made up a rub for the chicken: olive oil, rosemary, thyme, chili powder, salt and pepper. I turned it on low for 7 1/2 hours. My crock pot is super fancy and once the time is up, then it keeps it nice and warm. When we got home, the meat thermometer read 188.9. Now, I put the thermometer in, but I honestly have no idea what temp meat is supposed to be, so I squeezed it, hoping the juices would be clear! Buuuuuuut the juices were still pink and there was a bloody mess inside! So after 9 hours of being in the crock pot, I had steamed, bloody chicken. Lovely. And I didn’t take a picture of it, because it was kinda gross. I ended up having to fry the chicken just to make sure we weren’t going to get salmonella poisoning. In other words, I tried it, and I am here to tell you not to do it. Next time we go geocaching, we’ll just get a pizza, and I suggest you do as well. Step back from the crock pot. However, I did put the chicken back in the crock pot and put a bunch of water in, turned it on medium heat, and set it for over-night. And voila! Chicken broth in the morning. At least I got this! oh wow…..that’s too bad! I have read about not putting the chicken on the bottom but using either veggies, like you did, or crumpled foil. Roast chicken is the absolute best but it’s got to be done in the oven to get that crispness.